Last winter, fishing buddy Reid presented me with a challenge. The past few summers we fished in southwest Montana. Looking for a change, he most wanted to get away from the hordes that flock to the well known streams in that region. After some thought, I suggested that we try fly fishing Idaho, North Central Idaho to be precise. 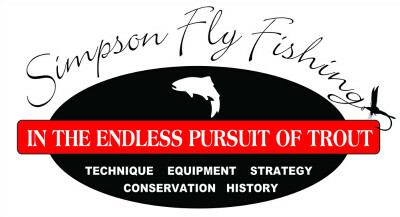 Much of Idaho is relatively unknown to the fly fishing community. Sure, everyone knows about Henry’s Fork and Silver Creek. But there are over nine million acres of backcountry fishing managed by the US Forest Service, and several million more managed by BLM. Most of it is roadless wilderness, even if not managed as such. After a bit of research, I thought the “Idaho Road & Recreation Atlas” was most helpful. It provided good, up to date road information, as well as campsite locations and access to rivers. Looking at our options, we elected to enter Idaho from Superior Montana. From there we headed southeast through the Hoodoo pass on route 250. The road conditions quickly deteriorated. While it began as a two lane asphalt road, it became mostly a single-lane-with-turnouts gravel road, complete with ruts and potholes. But it is the only road from Superior to Orofino Idaho, a hundred miles away. 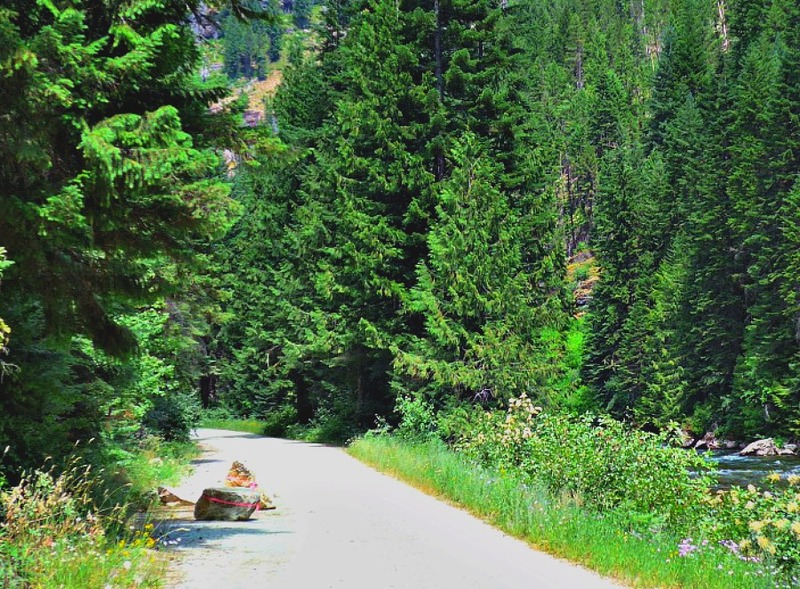 It passes through the heart of the Clearwater National Forest, and connects to only a few, short side-roads and ATV trails. What lay before us was nearly ten thousand square miles of virtually undisturbed wilderness. Clearwater National Forest begins on the western slopes of the Bitterroot Mountains, which separate Montana and Idaho, and extends west to Orofino. The Bitterroots are steep, and are covered with large fir and old-growth hemlocks. The dense canopy provides deep shade. Daytime temperatures are ten to fifteen degrees lower than that in the open meadows. Soft needles and ferns cover the forest floor, while the meadows and forest edges are colored with wild flowers. Other than a few national forest campgrounds, there are no services. 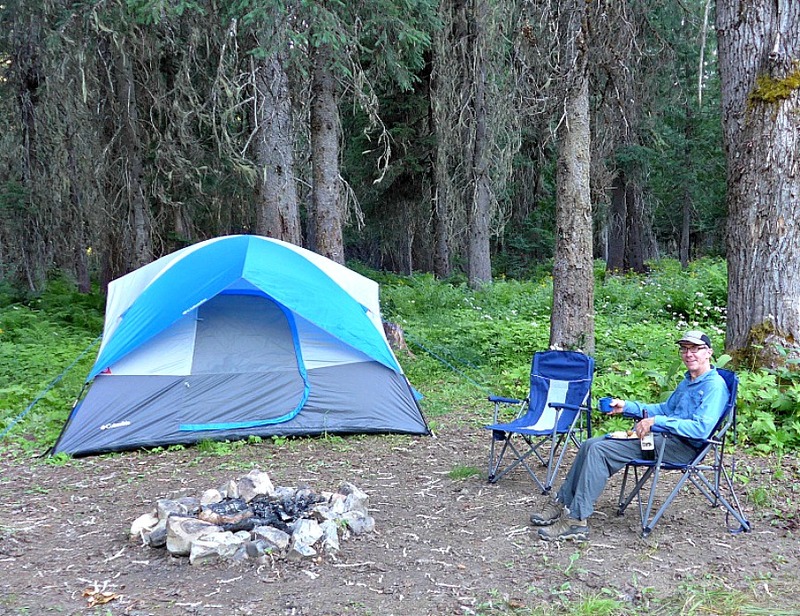 The campgrounds offer latrines, fire pits, picnic tables, and fresh water. To our dismay, we found them mostly populated with huge RV’s, parked nearly wall to wall. From our perspective, this marred the “wilderness experience”, and we frequently chose to pitch our tent in unimproved sites instead. Much nicer to awaken to a cacophony of singing birds than a whirring of generators! The effect of budget cuts to the National Forest Service is very apparent. There was little to no evidence of road repair. Sometimes hazards were marked, as seen in the picture below. But most times they came as a surprise. We went prepared, with a chain saw in case of blow-downs, extra gas, a tire pump and a full-size spare tire. 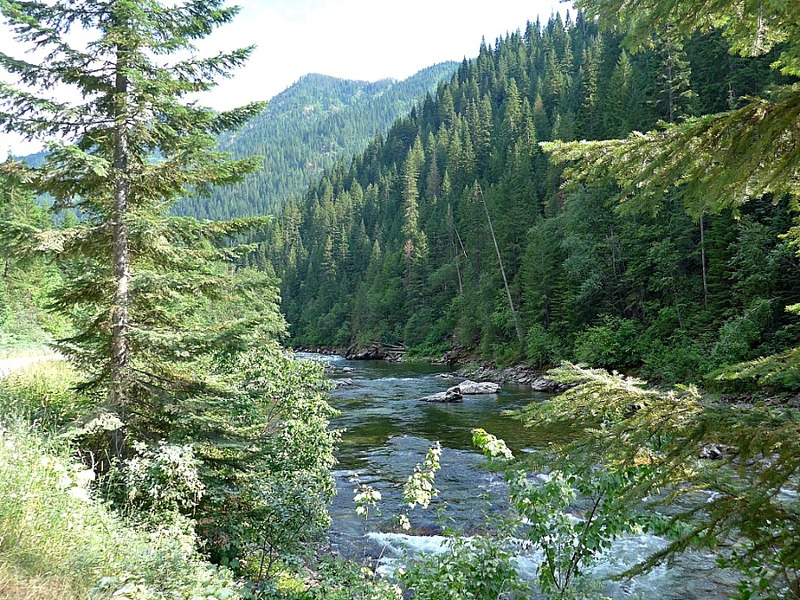 Clearwater National Forest is home to the Clearwater River. It is a huge watershed, comprised of three large forks. 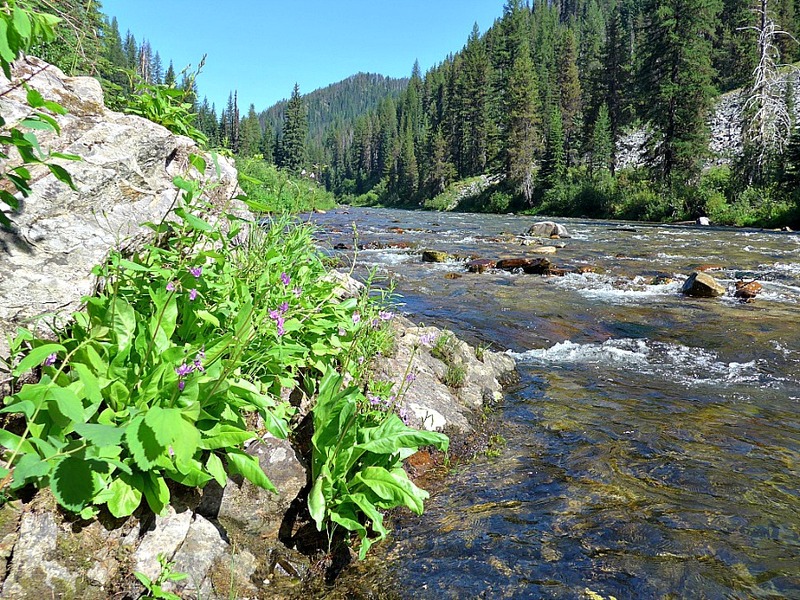 Additional major tributaries include the Lochsa, Selway and Snake rivers. There are a myriad of smaller tributaries as well. 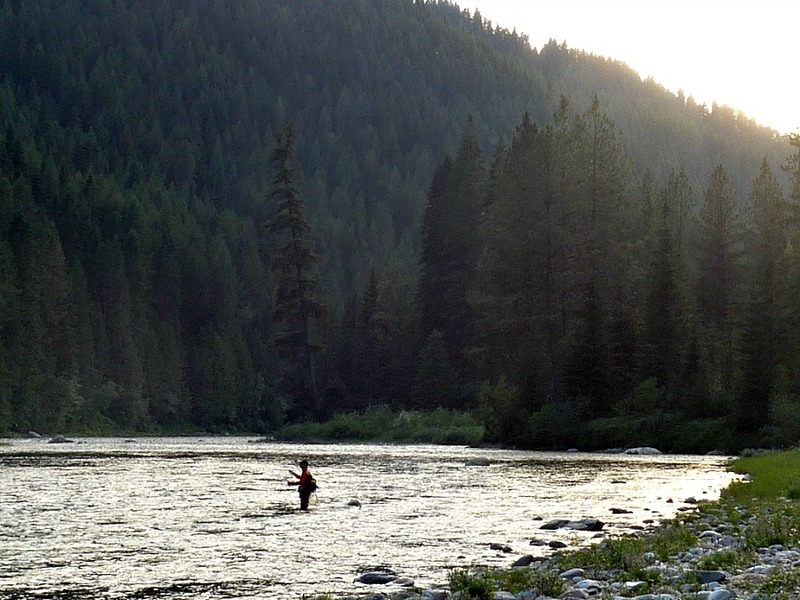 The Clearwater River is perhaps best known for its winter steelhead and salmon runs. 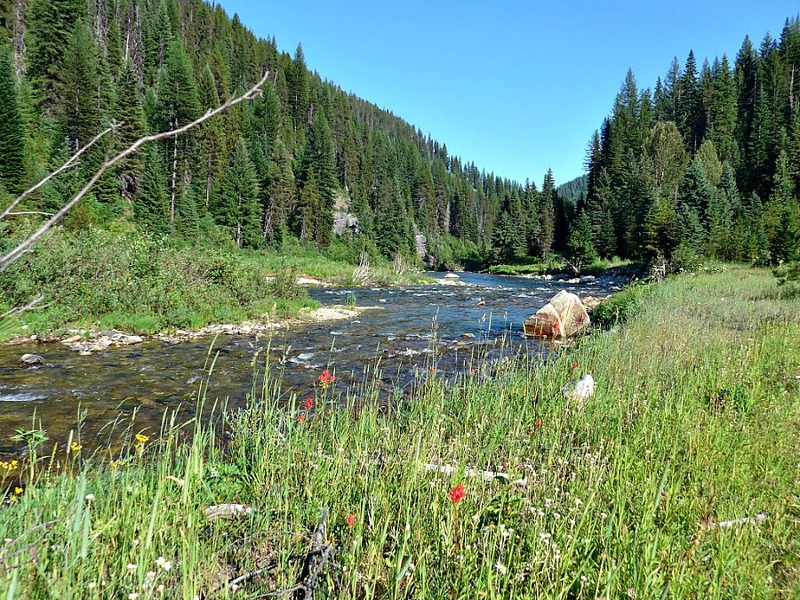 But to summer fly fishers, Kelly Creek, a large tributary, is the main draw. 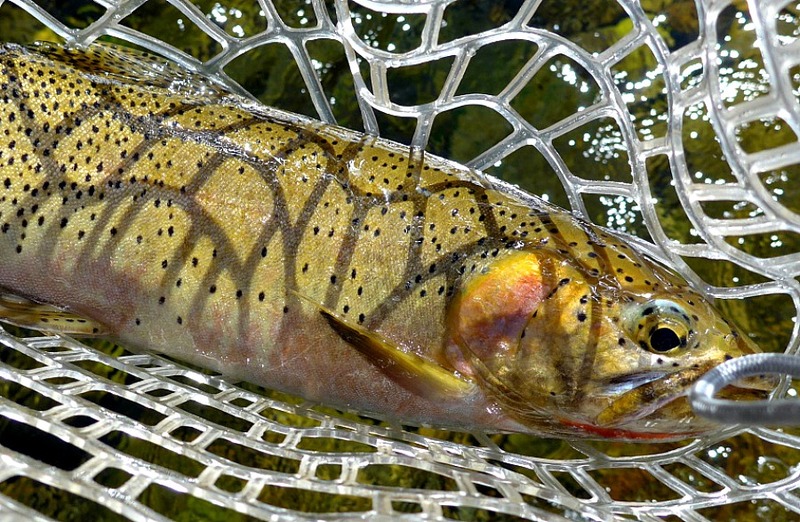 Idaho imposed “catch and release” regulations and discontinued stocking Kelly Creek in the 1980’s. 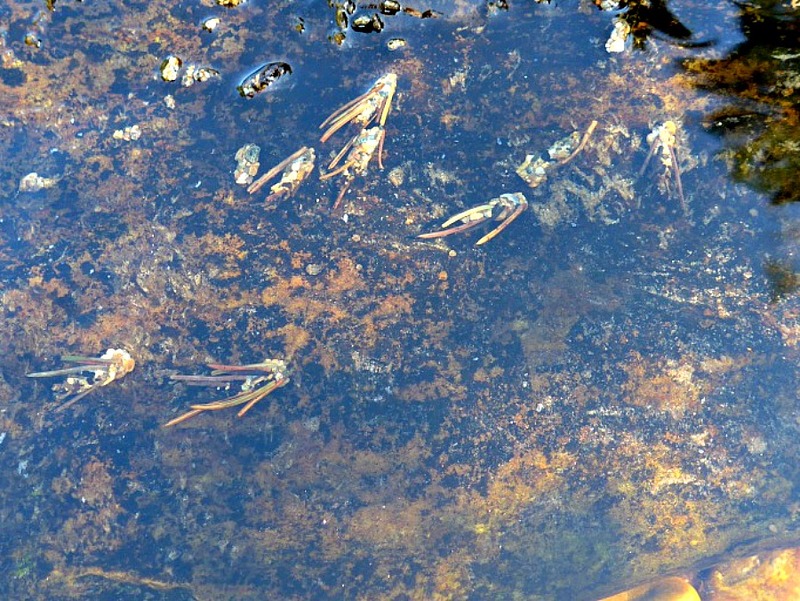 The native trout population rebounded quite nicely, and has remained stable. We were surprised at the size of Kelly “Creek”. It is larger than many rivers. The lower stretches are dominated by deep runs, too deep to wade, separated by wide featureless shallows. In contrast, the upper stretches meander about islands, featuring typical bends. This is the stretch most frequented by fly fishers. We fished over two miles of water in the upper stretch. The results were disappointing. We caught only a few fish, and most of them were twelve inches or smaller. In contrast, lesser known tributaries were loaded with fish, many of them in the fifteen to sixteen inch range. They were fat, healthy and feisty. We wondered if these streams were overlooked due to the reputation of Kelly Creek, and therefore not fished very often. Fishing in the North Fork of the Clearwater itself was especially good. Readily waded, it offered fish at a rate of fifteen to twenty per hour. Many of them were fifteen inches or greater, colorful and strong. 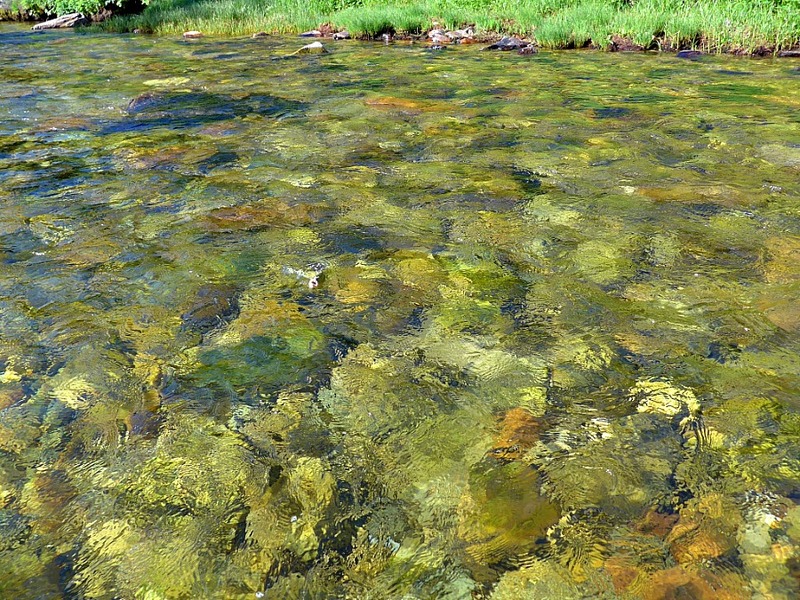 The water in the North Fork was clear and cold. Algae-free small stones covered the streambed, which made the wading comfortable. 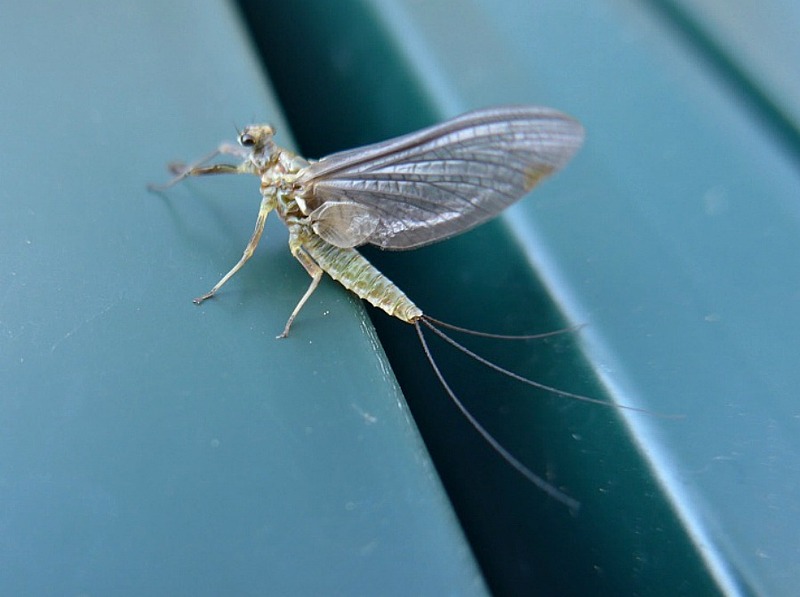 Bugs were plentiful, with hatches of PMD’s, caddis, tricos, and occasional drakes. Fishing was relatively easy. The trout were mostly cutthroat, with some rainbows and cut-bows. To our delight, they behaved as expected, readily rising to attractor flies. Consequently, matching the hatch and nymphing were seldom necessary. Fly fishing in Idaho was a wonderful experience! The north central area provided us the opportunity to truly get away from the crowds. 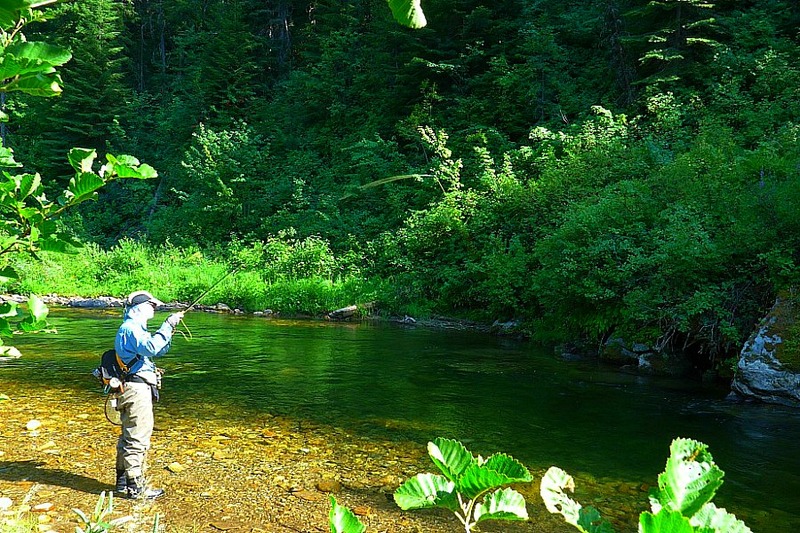 We seldom had to share water, usually fishing a mile or more of stream with no other anglers in sight. The fish were larger than expected in the smaller streams, numerous, and put up a strong fight. It was a great experience, but go prepared with food, water and/or filter system, shelter, extra gas, tools, etc. Oh, and you might as well leave the cell phones at home; you will be off the grid! written by Al Simpson, August 2017.